After six weeks in the Neonatal Intensive Care Unit and Special Care Nursery, Samuel Powrie was home from hospital before he was even supposed to be born. 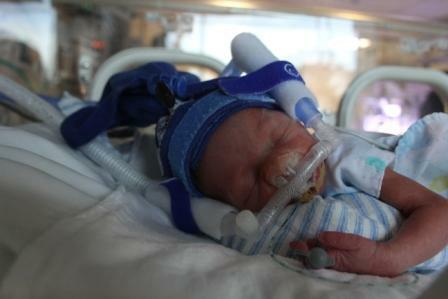 Angela Powrie’s son was born at 31 weeks and two days gestation. She left the hospital without her son, who remained at the hospital to grow and gain strength. Hers was an experience that she wouldn’t wish for anyone but she says, with positivity, she and her husband Duncan were able to spend nine extra weeks with their precious son. “At the time, it was scary and stressful, but looking back, I can see that we had that very special extra time to spend with Samuel and to watch him grow and develop,” says Angela. Angela didn’t experience the healthy pregnancy ‘glow’; she lost weight and was unhappy and exhausted. Her blood pressure skyrocketed due to pre-eclampsia. When Samuel arrived unexpectedly, he was connected to monitors and drips, his feeding was difficult and he had a hole in his heart. “We desperately wanted to be his parents, but we felt he didn’t belong to us,” says Angela. Angela’s diary was, and still is, filled with appointments with audiologists, ophthalmologists, orthopaedic specialists, occupational therapists, speech therapists and other medical professionals. 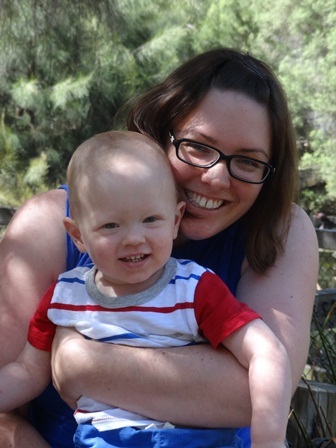 “As a consequence of being premature, Samuel requires regular check-ups and monitoring,” says Angela. Angela turned to the Miracle Babies Foundation, a non-profit organisation that supports premature and sick newborns, their families and the hospitals that care for them. She now volunteers as the Coordinator of the Southern Districts Unit at the Foundation. If you would like more information, you can visit http://www.miraclebabies.org.au or phone 1300 622 243.